This site has been a great place for me to discuss my work to become a professional voiceover artist. As part of that effort I’ve been working quietly on a commercial site for my voiceover talents and I’m pleased to be able to say that it’s now “open for business”. 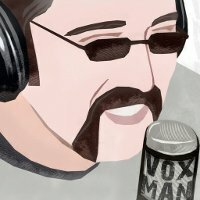 Take a look at VoxMan.net, give a listen to the demos and check out the blog. I am extremely grateful to everyone who’s helped me out with feedback and suggestions on the design. And what about this site? Not to worry- I’m going to continue blogging here, where I can be a little less formal and have more fun while I talk about voice acting and my continuing journey in this fun and fascinating field. My commercial site has a blog also, which I use to discuss my projects and such but this is and will always be my personal and informal place to get things off my chest, share insights and frustrations, you know- the usual. This entry was posted on Saturday, February 26th, 2011 at 5:01 pm and is filed under Blog, Jobs. You can follow any responses to this entry through the RSS 2.0 feed. Both comments and pings are currently closed.